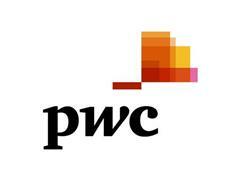 Munich, September 19, 2018 - The digitization and automation of processes and delivery vehicles will reduce logistics costs for standardized transport by 47% by 2030, according to a new report from PwC’s Strategy& consultancy. "Within just a few years, the commercial vehicle and logistics industries will merge to form an ecosystem that will be managed digitally and efficiently. Robots are already being used in distribution centers and electric vehicles for last-mile logistics," explains Dr. Gerhard Nowak, Partner at Strategy& Germany. “The missing piece of the puzzle is currently the automated comparison of freight and available vehicles. In a fully automated supply chain, a product on an Industry 4.0 production line would already be produced with the digital information to book the transport for its own delivery shortly before its completion." A consistently digitized supply chain saves administrative overheads, replaces time-consuming inventory, and reduces insurance costs by cutting error rates. In total, savings of up to 41% are possible by 2030 compared to today's supply chains. The first-mile delivery of products will become more efficient over the next few years, primarily as a result of the automated assignment of freight to the truck, and platform solutions will replace manual administration tasks, which will release savings potential of 45% by 2030. For last-mile deliveries, data-driven demand analysis, automated deliveries (for example through drones) and reduced administrative overhead could see costs fall by 51%. "The logistics industry is undergoing massive technological change, changing well-known business models and traditional roles of freight forwarders, truck operators or truck drivers. The change to an autonomous truck is also reducing the importance of equipment features and ride comfort for manufacturers - in the future, it is about offering the better cost balance per kilometer. “To remain competitive, original equipment manufacturers (OEMs) need to develop business models with mobility services. In this area, they are in direct competition with leasing companies and above all with the big tech players, who are already planning autonomous truck fleets. This ultimately puts them in direct competition with their current customers - a delicate challenge," concludes Gerhard Nowak.